Reports From The Pharm: Want an "inside" look at UCSF? Join us in April! Want an "inside" look at UCSF? Join us in April! Interested in applying to UCSF's PharmD program for 2019 and beyond? 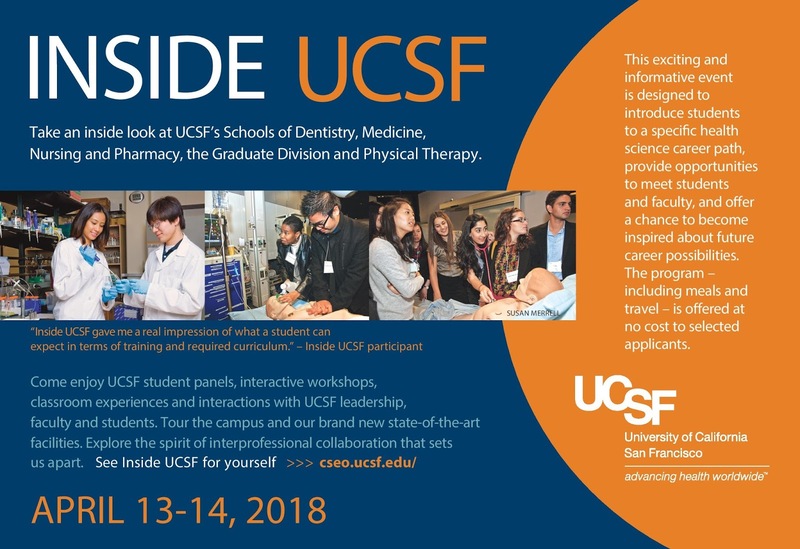 Get an "inside" look as part of Inside UCSF, a free two-day program for prospective students being held April 13-14, 2018. Applications are now available and due February 16.